Plant holders are timeless beauty coming down the ages. Before we had any other plant holders and you can't deny that they offer a great stylish accent whether your stylish preferences incline to modern, conventional or contemporary. 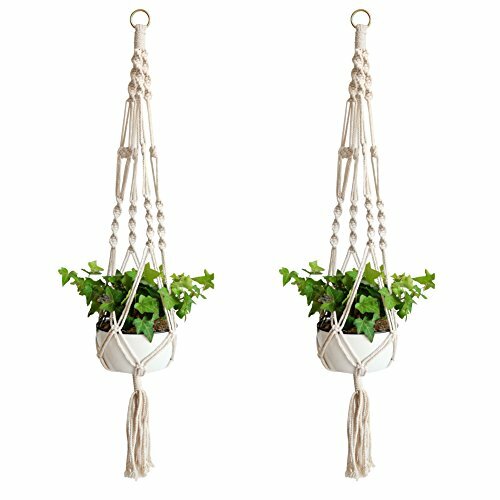 This natural cotton plant hanger is made of natural cotton fiber which is abundant in nature and is by-products of plant and is 100% nature's product. This plant hanger is a perfect fit for many size pots and is really sturdy as what it seems. It's made of a really good quality cotton and to the eye is visually stunning for those who are into that artsy elegant look.